In January this year I bought on eBay a Finest Badger Shaving brush with a imitation ivory handle from seller Virginiasheng. Virginiasheng is for most people a unknown seller, but nevertheless I was able to find positive experiences about this seller on B&B, and that was enough for me to take the risk. The first thing that I noticed about this shaving brush is that the handle got quite a firm feel, and weights about 50gram total. I also noticed that this shaving brush has quite a small handle, and the shaving brush total length is about 15mm smaller then my Edwin Jagger Best Black Badger which got a total length of 115mm. The handle measures about 4cm, and the length from the loft is about 55mm, and the knot size is 20mm. Personally I really think this shaving brush looks very nice, and I especially like the imitation ivory handle which gives this brush quite a luxury feeling. It took me about 2 a 3 shaves to break-in the shaving brush, and already during the first shave I noticed how soft the hair feel to the face, but definitely not floppy. When I compare the softness of the tips to my pure badger then its really a big difference, and it gave me really a wow feeling. Furthermore I'm able to whip up plenty of lather with this shaving brush for a two or three pass shave. I also noticed that this shaving brush doesn't lose a lot of hairs, and even with the first shave it almost lost none. I also noticed that this Finest Badger Shaving Brush absorbs more water then my pure badger brushes. 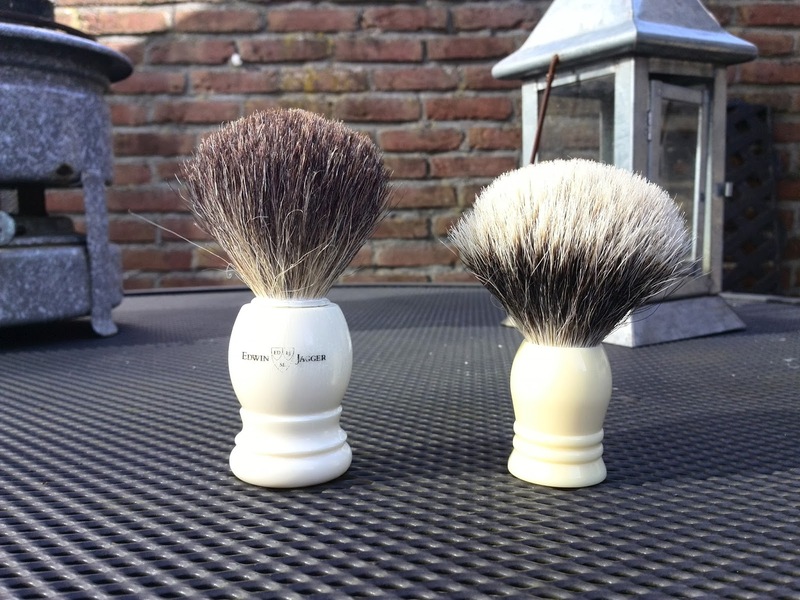 There is really nothing wrong with the build quality of this shaving brush, so I can not say anything bad about it and also the quality of the imitation ivory handle is good. But the most important part is not the handle, but the the knot and I would say Virginiasheng or her workers really seem to know very good how to place a knot inside a handle. And often people in online communities have prejudices about Chinese shaving brushes, but in this case they are not true at all. You can buy the Virginiasheng Finest Badger for about $ 16 from eBay with a choice out of different handles and knot sizes. 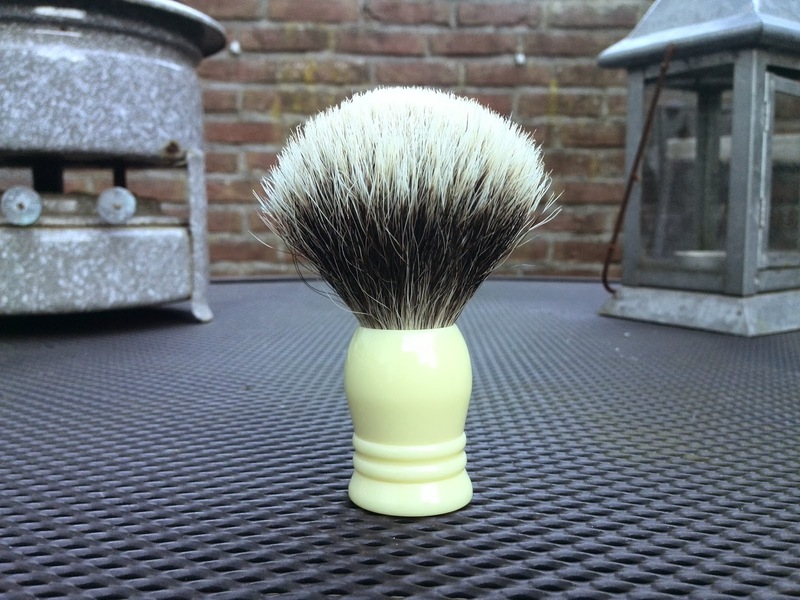 The Virginiasheng Finest Badger Shaving Brush offers really a good value for your money, and in most countries it impossible to find a ( finest ) badger brush for the same money. Personally I really think this a excellent shaving brush for both beginners and more experienced wetshavers.